A CAPTCHA is a program that protects websites against bots by generating and grading tests that humans can pass but current computer programs cannot. For example, humans can read distorted text as the one shown, but current computer programs can’t. First used around 10 years ago, by Yahoo for its email service. Basically, a Captcha is a challenge-and-response test designed to help you prove you are a human by asking a question that’s difficult for machines to decipher. Most Captchas are images that show one or two words bent out of shape, sometimes with a line running through them – and all you have to do is type what you see into the empty box underneath them. Letters are often squeezed together or have ‘noise’ scattered behind them because this makes it harder for web robots to decode the image with software that can recognise letters by their shape. 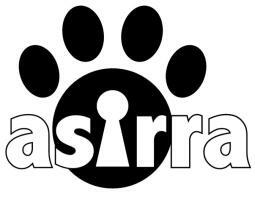 Microsoft Research even has a picture-based one called Asirra (Animal Species Image Recognition for Restricting Access) is a HIP(Human Interactive Proof) that works by asking users to identify photographs of cats and dogs. This task is difficult for computers, but user studies have shown that people can accomplish it quickly and accurately. Many even think it’s fun! Preventing Comment Spam in Blogs. CAPCHA prevents spam replays without asking the user to sign up. Ensure that the users who sign up for free services such e-mail are human not bots. Protecting Email Addresses from Scrapers. CAPTCHA hide the e-mail address and asked the users to enter the text in the picture to show the e-mail. This help to prevent scrapers from sending to the e-mails. In online poll asking bots can vote thousands of times. CAPTCHA allows humans only to vote. CAPTCHAs can also be used to prevent dictionary attacks in password. The idea is simple: prevent a computer from being able to iterate through the entire space of passwords systems by requiring it to solve a CAPTCHA after a certain number of unsuccessful logins. Since, search engine bots are usually belong to large companies, respect web pages that don’t want to allow them in. However, in order to truly guarantee that bots won’t enter a web site, CAPTCHAs are needed. CAPTCHA protects e-mail from worm and spam by ensuring that the sender is a human not bot. Audio alternative: A lot of web site using the audio alternative as solution to CAPTCHA inaccessibility. Audio alternativecontains a distorted voice that says a set of number or letters and asking the user to enter it. Although, theaudio alternative can help the special need users to pass CAPTCHA, a lot of websites don’t use it like Yahoo!,MySpace and Friendster. Simple calculation alternative:This alternative could be very simple for the users. It will provide simple calculation like 2+3= or 6+2= andasks the user to enter the result then, validate the user’s result. The calculations provided are changed eachtime. In the CAPTCHA alternative survey 45.95% of responders think Simple calculation alternative is an excellent alternative. In the CAPTCHA alternative survey 9.91% of responders think Problem solution or general informationquestion alternative is an excellent alternative. In this alternative a question with multiple choices is provided then it asks the user to choose the correct orappropriate word. The question could be like this “I am reading a _________” and the choices are “shoes,Book, bread”. This alternative could be accessible for all users with different abilities. In the CAPTCHA alternative survey 17.12% of responders think complete sentence with a multiple choiceword alternative is an excellent alternative. In this alternative questions like “write the letters in reverse order” or “arrange the letters in alphabeticalorder”. This alternative will give a complete accessibility for the normal users.In the CAPTCHA alternative survey 18.92% of responders think Letters or numbers arrangement or spell letter in specific order alternative is an excellent alternative. Some web sites provide manual alternatives for the users who can not pass CAPTCHA. Manual alternativecan be for example “for more support call the number” or “for more support visit us”. This alternative solvesthe CAPTCHA inaccessible problem but it makes special needs users spend more effort to get some servicesthat normal users can get via the web sites. In fact, special needs users need more facilities than normal users to get benefit from the services. Akismet is an excellent spam-filtering service for blog comments: use this and you’ll hardly have to worry about spam on your blogs ever again.